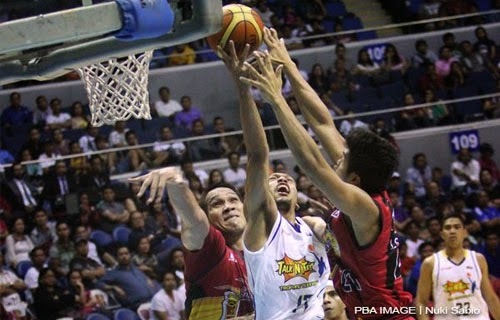 Talk 'N Text vs. San Miguel: Semifinals 2014-15 PBA Philippine Cup (Date, Time, Live Stream, TV Info and Preview) - Balita Boss! Talk 'N Text Tropang Texters' journey back to the semifinals begins against the top seeded San Miguel Beermen in 2014-15 PBA Philippine Cup. San Miguel finished tied with the Rain or Shine for the best record after the eliminations at 9-2, which gave them the outright semifinal berths. Talk 'N Text, on the other hand, arranged a best-of-sever series with Beermen by beating Barako Bull Energy, 105-76, in the first phase of the quarterfinals before ousting Barangay Ginebra San Miguel, 83-67.